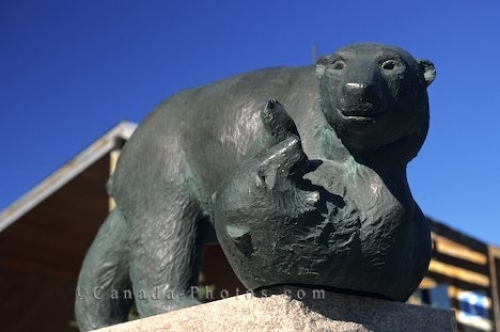 The symbol of Churchill are polar bears as shown with this statue in Manitoba, Canada. Polar bear statue in Churchill, Manitoba, Canada, North America. Please make sure to see our photo gallery Canada animals with more creatures from Canada and more polar bear pictures. Photo of a polar bear statue in Churchill, Manitoba, Canada, North America.